Established in San Diego, our cover page (to a large 3-ring binder) for what we called “The Bibble” – important documents and our recordkeeping for corporate-related information and activities. REFRESH. I use this word – refresh – to describe my re-establishing of my consulting practice – the formal consulting services of “air quality consulting for power plants” work that I started in 1994. OFF-HOLD. As mentioned, my traditional R|CAT consulting was set-aside while I was serving the U.S. EPA, Region 9 from 2007-2014. Since leaving EPA in April 2014 and deciding in to re-establish R|CAT in the fall of 2014, I continue to chip away at the administrative paperwork, re-establishing certifications and insurance, and digitizing my work. I have had a few projects this year. And I am realizing it is not like pressing a “refresh” button. Past certifications – Referencing expired certifications 7+ years old is of no value. Past insurance – Having nicely filed this information is of great value. Liability insurance – Times have changed. The cost (premium) is higher. Attachments – The required attachments for applying for liability insurance cross-over into many other administrative business applications. Statement of Qualifications (SOQs) – SOQs are required not only for several business-related forms but also for proposals and introductions (as well as re-introductions). 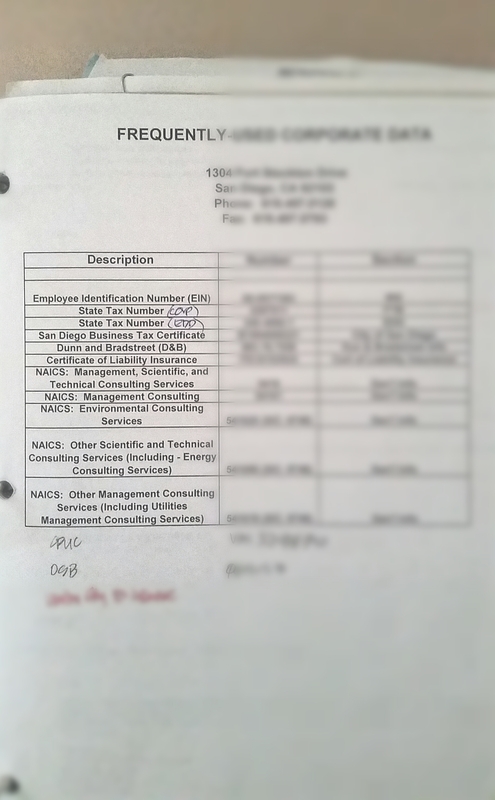 My EPA experience greatly informs my consulting capabilities. I am reliving my EPA performance appraisal self-assessments and appraisal feedback – that’s 2008-2014 work. I am still chipping away at summaries of my EPA project work. I am glad I was quite detailed in my self-assessments and diligent about performance appraisal feedback. My “Bibble” – This has been a wonderful resource for an all-in-one binder of information. Thanks to Todd for keeping tabs. NAICS – In addition to my environmental-related consulting, will see what additional category may apply for Behavior Design-related services. Client Service Agreements – Thanks to colleagues who have shared their current Client Service Agreements. I have my older template, and I have been able to create a current agreement. Subcontractor Agreements – Thanks to colleagues who have shared their current Subcontractor Agreements. I have my older template, and I have been able to create a current agreement. Financials – I am glad to have someone who has pulled my financials together – current and when R|CAT was active through 2007. Thanks to Karen who uses Quickbooks better than I use it and who keeps me on-track. Promotional Material – Back in the day, I had paper, collateral promotional material. I had a basic webpage in 2005, however, I had not used it for promotional-related material. It is nice to have social media, electronic resources to reference. That said, I am glad to be back in business, and I am excited that I am re-organizing my filing system.